New vacancies in Indian Government: State Bank of India Recruiting 20 Cash Manager Posts on Feb 2015. State Bank of India Recruiting 20 Cash Manager Posts on Feb 2015. 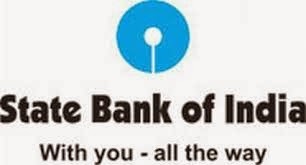 Qualification : All Interested Candidates are should have officers of SBI or its Associate banks, or its equivalent qualification from a reorganization university / Board. How To Apply : All Eligible and interested candidates should download application form from official website, http://www.sbi.co.in. After filling the application form candidates must sent the Hard copy of application with relevant testimonials (Mentioned in the Advertisement) to the Address on or before 15-02-2015. Important date To Remember : 15-02-2015.